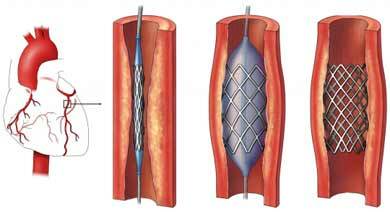 Revascularization for coronary artery disease (CAD). EBSCO DynaMed Plus website. Available at: http://www.dynamed.com/topics/dmp~AN~T901116/Revascularization-for-coronary-artery-disease-CAD . Updated June 2, 2018. Accessed July 3, 2018. Stenting during percutaneous coronary intervention (PCI). EBSCO DynaMed Plus website. Available at: http://www.dynamed.com/topics/dmp~AN~T114966/Stenting-during-percutaneous-coronary-intervention-PCI . Updated June 21, 2018. Accessed July 3, 2018.